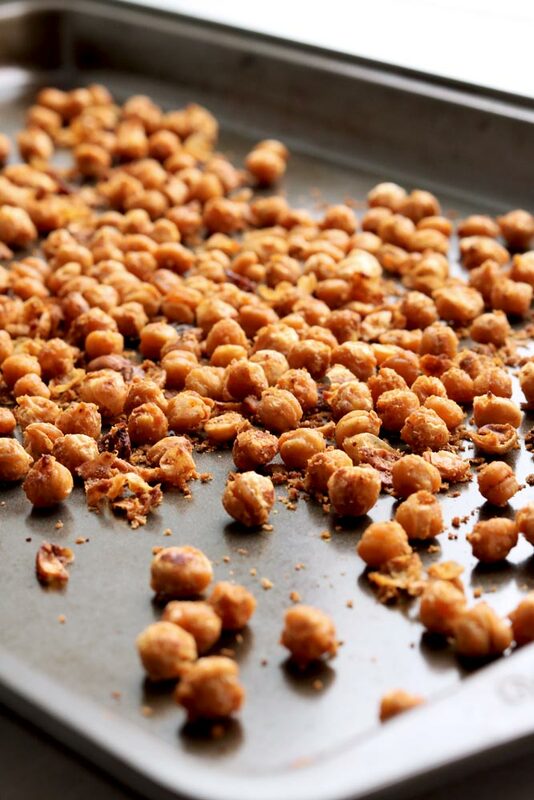 Inside Scoop: These Chili & Cheese Garlic Roasted Chickpeas are the perfect alternative to a bag of chips. Made using nutritional yeast instead of cheese. 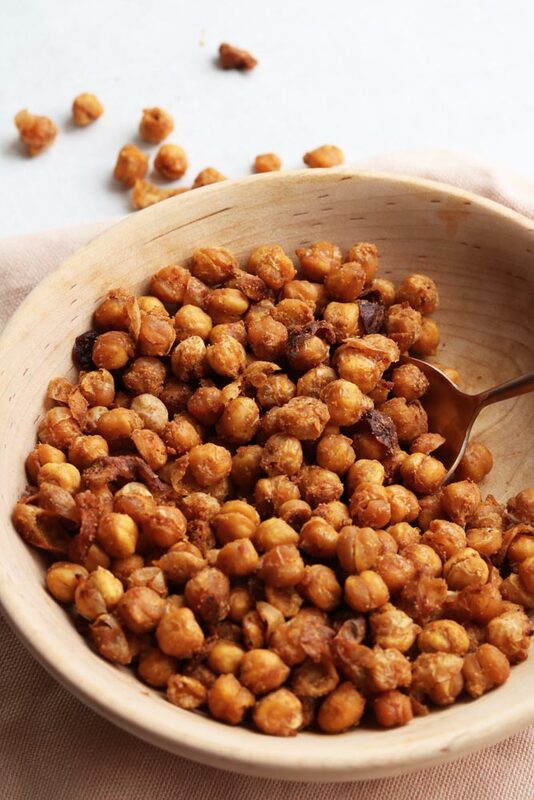 Have you had roasted chickpeas yet? 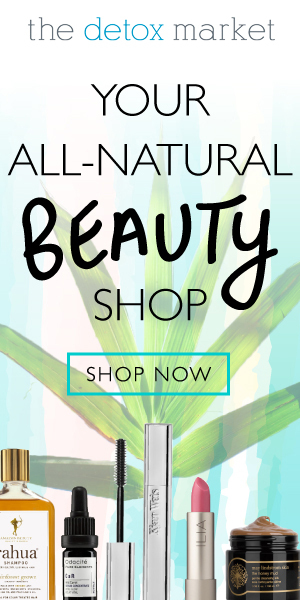 Oh goodness, if you haven’t, then you are truly missing out. If savoury foods such as chips are your thing, but you’d rather snack on something with more nutritional value, these chili and cheese garlic roasted chickpeas are the bee’s knees. 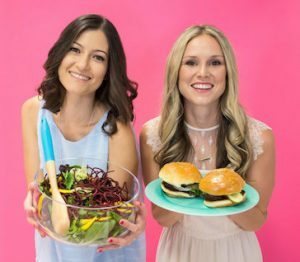 We’re clearly obsessed with chickpeas. Interestingly enough, they are legumes and can be traced back nearly 7000 years! What?!? 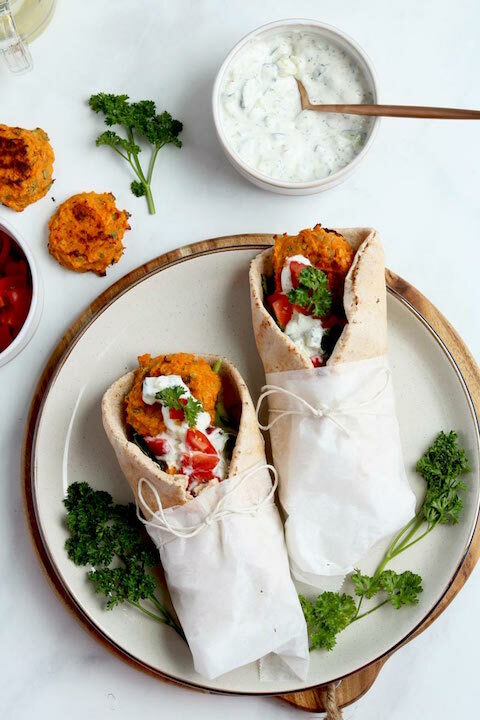 Move over grains, chickpeas are one of the best, trendiest, and nutrient rich foods out there. 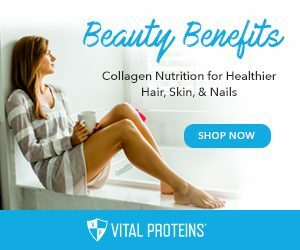 One of the cool things about this hip little legume, is that they’re an incredible source of protein, but combined with rice, they become a complete protein (containing all 9 of the essential amino acids). Chickpeas are amazing! You can roast them, fry them, cook them in stews, blend them in hummus, mash them (check out our Vegan Mashed Chickpea Sandwich) and you can even add them to desserts. Versatility leaves no chickpea behind. 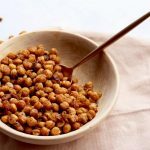 Our favourite part is that chickpeas have been shown to help with satiety, and portion control, and managing hunger cues, making them an essential health tool for weight management. 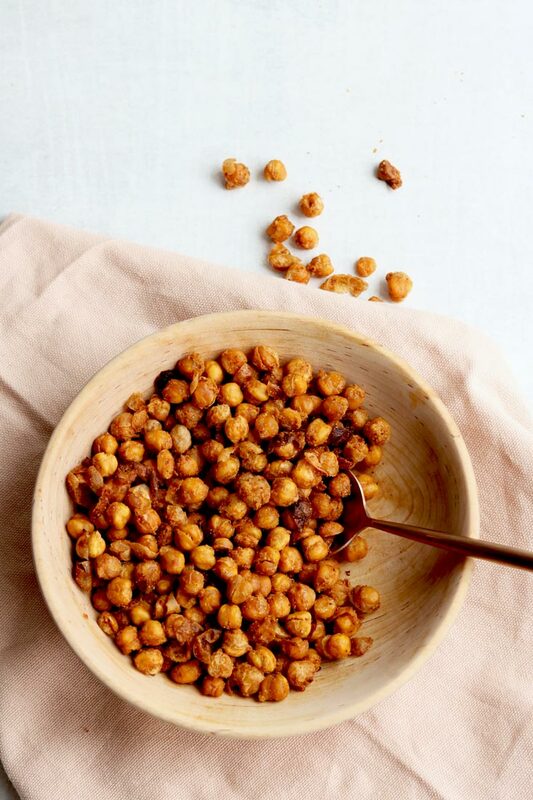 So, if you want to get in on the chickpea action, these spicy, nutty, cheesy, garlicky little gems are the perfect snack, salad topper or soup crouton. One of our favourite way to get a deep cheesy taste (without using actual cheese) is to add nutritional yeast to our snacks and veggies before roasted them. 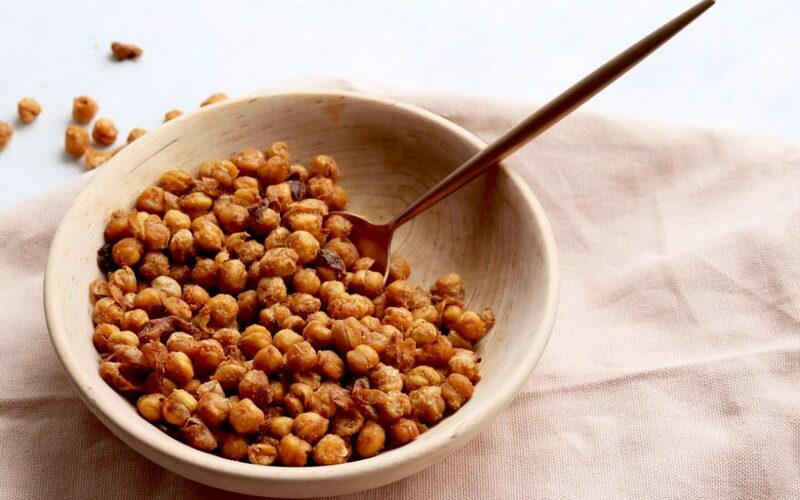 Nutritional yeast is also loaded with B vitamins, and give these garlic roasted chickpeas a nice little flavour kick combined with a coating to create a nice crunch. 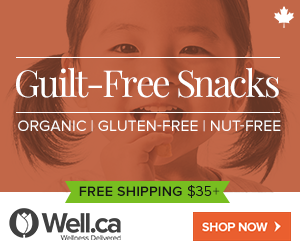 The combination of chili, garlic, lemon and nutritional yeast on these garlic roasted chickpeas make for a flavour packed snack and topper that is high in fiber, protein and will keep you feeling full and satisfied. 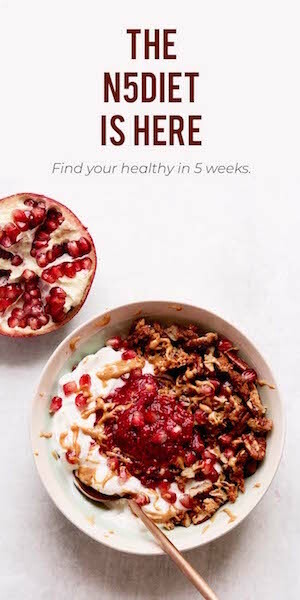 This recipe is the perfect alternative to a bag of chips. Place dried chickpeas in large bowl. Place on baking sheet, and cook for about 45-60 minutes until desired texture (cooked long enough will be crunchy). Toss them around half-way so all sides are cooked, and keep an eye on them around the 35-40 minute mark to make sure they don't over cook and burn.